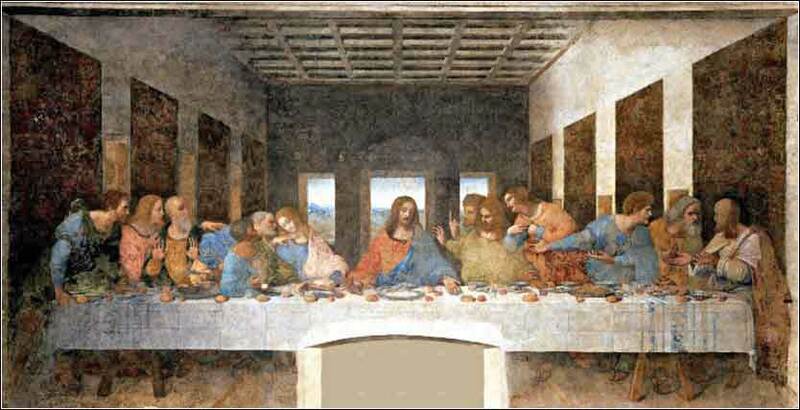 The famous Last Supper by Leonardo Da Vinci, c. 1498. It is possible to be happy without having perfect health . . . Thank goodness my happiness doesn't come from my joints, but from my heart. So then, my brothers, when you come together to eat, wait for one another — if anyone is hungry, let him eat at home — so that when you come together it will not be for judgment. About the other things I will give directions when I come. Having chastised the church members in Corinth for their behavior when they came together for the Lord's Supper (verses 12-22) and then put them in mind of the great moment their worship celebrated in verses 23-26, Paul now "lays down the law". They would be expected to take to heart Christ's teachings, and behave accordingly, when they came together for worship. Simply showing up for a service to eat and drink would bring God's discipline upon them, in this world. This is not the "wrath of God", but rather, the physical, earthly correction that the Holy Spirit will give to us sometimes to correct wrongful behavior; a spanking, as it were. We see this kind of correction in great sins of today. 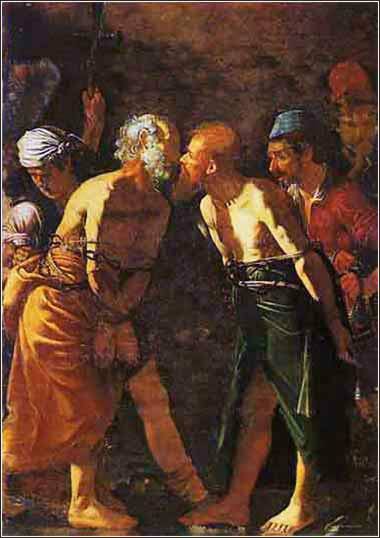 Reformed drug addicts will often say that they had to "hit their bottom" before the lesson came home to them, a painful lesson of physical or moral degradation, perhaps prison, perhaps the death of a fellow traveler; and generally, they will find God in climbing out of the hole their behavior has dug for them. Pride, adultery, anger, theft — there is no sin that the Holy Spirit will not see fit to correct, at some point, not as judgment but as correction, for God wants nothing more than for us to come to Him and be saved. This is God's love, not His wrath; for He seeks to divert us from conduct that will condemn us when His judgment comes. The poor behavior at worship would have to stem from a general failure to grasp the duty of love to one's fellow man; one who loves his brothers would not watch them go hungry, at a church meeting, while eating supper. And by the same token, how could they grasp the significance of the Lord's Supper, and behave thus? So Paul's teaching is harsh, although logical: such conduct is equivalent to responsibility for causing Christ's death; it is the attitude of a thoughtless bystander who could be led to yell, "crucify Him."